Sign up in advance with the receptionist. Attorney Julie-Ann Shapiro will update you on the essentials of estate planning, including a practical approach to what documents most people need and don't need. She will discuss issues everyone should be aware of regarding powers of attorney, health care proxies, wills and trusts. She will also help you keep up to date on the latest issues regarding long-term care planning. Buying a home in Lexington, MA can be a very exciting time as you consider either relocating to this charming town or moving to the Lexington home of your dreams! It’s fun to envision what your options are for homes in Lexington and what life will be like once you settle into your new home. Having lived and worked as a Lexington Real Estate agent for years, I enjoy showing interested buyers what makes Lexington such a great choice for settling down! Our active community, historic appeal, beautiful homes and our close proximity to the metropolis of Boston gives Lexington a unique appeal and creates a well rounded lifestyle for Lexington residents. If you are considering buying a Lexington home and are a first time home buyer, or have simply been out of the Lexington Real Estate market for some time; there are a few changes that have taken place over the past year in real estate that you’ll want to know. 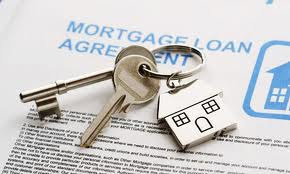 The main thing is that lenders have tightened the reins on those who qualify for a mortgage loan. They feel that being more careful with who is able to buy a home will help the national housing market on its road to recovery. These new regulations, however, are not meant to discourage you from buying a home in Lexington! 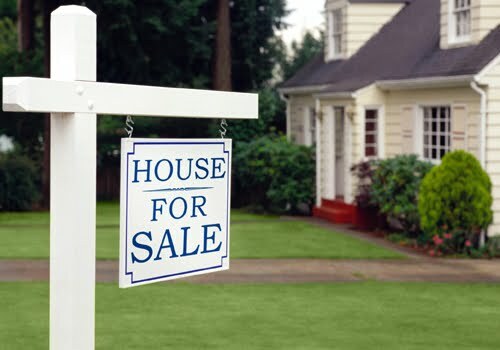 You are at a prime point to buy a Lexington home as home prices and mortgage rates are at an all time low and I would love to help you throughout the entire home buying experience. You can navigate your way through the loan qualification process by taking note of these four tips! - Have the right credit score- Credit scores are moving to the forefront of being approved for a Lexington home loan. Most lenders are expecting a credit score of 600+ even for FHA loans. A good credit score will not only help you qualify for a home loan, but can lower your interest rate, which can save you thousands of dollars in the long run. - Shop around- The interest rate is important, but there are other costs to consider such as discount points and even the type of mortgage loan. When shopping for best rates, compare various combinations of discount points and loan types. Your Lexington Real Estate agent can help you decide on the best option. - Know your borrowing limit- If you’re not sure how much you want to borrow, a good rule of thumb is to look at the Federal Housing Administration requirements. FHA will limit mortgage payments at 31% of gross monthly income before taxes for most buyers. This can help ensure that you’re not getting in too far over your head. If I’ve learned anything over the past few years, it’s to play it safe in the housing market. - Consider a No-Closing-Cost Loan- If you have positive equity, but are lower on cash up front, you do have an option to choose a no-closing cost loan. This simply means that you’ll have a slightly higher rate, but the closing costs will be paid over time instead of up front. Armed with these four tips, you will be well on your way for qualifying for a home loan! As always, I’m here to help answer any questions you may have about buying a home in Lexington. I would enjoy showing you some of the homes that are currently available in Lexington and guide you through each step of buying a home. Please contact me anytime to get started! I look forward to hearing from you! If you are looking to sell your home in the Lexington, MA area there are 10 areas that you should not over look when staging your home. Buyers WILL take all these into consideration when determining which home to purchase. 1. De-Clutter- Yes we all know this but do you actually do it? When we say de-clutter we mean it. Remove all knick knacks, photos, trophies and other items that personalize the home. 2. Clean- This is especially important in bathrooms and kitchens. People look hard at these areas. Clean under and around furniture that you normally wouldn’t. 3. Forgotten Spaces- Don’t forget to clean and organize, closest, cabinets, basements and attics and garages. People walking through the home will be looking at these spaces also. 4. Mirrors- Mirrors are a great way to make a room look bigger. Strategically place them in hall ways and small rooms. 5. Furniture- Placement is key. Don’t block entrances or windows. Rule of thumb; remove one piece of furniture from every room. 6. Rooms-Remove outdated wallpaper, rugs and furniture. These are smalls steps that create a huge impact. 7. Set the scene- Stage your kitchen table for eating, lay a board game out in a game room, etc. Give the buyers a picture of each room. 8. Seasonal-Make sure your house fits the season. Remove heavy drapes and thick area rugs for summer and visa versa for winter. Keep accessories to fit the season. 9. Decorations- At the same time don’t go over board decorating for holidays. If you are selling your home during Halloween, don’t have the entire house decked out in black and orange. A few subtle decorations are best. 10. Lastly, Don’t forget the Outdoors- Make sure patio furniture is clean. Create an outdoor living space when possible using accessories. The lawn should be cut and weeds pulled. A few flower arrangements or plantings add a nice touch. Here's a chance to get a close-up look at your favorite vehicles from Lexington's Dept of Public Works, Police Department and Fire Department and meet the people who drive them. You may even be able to sit in one of them! The effective date of the new state Homeowner Oil Heating System Upgrade and Insurance Law (installation of an oil line sleeve or oil safety valve) has been delayed until September 30, 2011. In short, the law is designed to eliminate oil leaks that have plagued numerous older homes in the commonwealth where a fuel line leaves the oil tank and is then buried in concrete and reappears at the burner. In some of the homes the buried portion of the fuel line leaks and causes expensive environmental damage. In addition, the new law requires homeowner insurance companies to make available coverage, at an additional cost, for oil spills to all homes that are in compliance with the new rules. Visit the DEP’s website for additional information. Lots of great programs are happening at the Lexington Senior Center! Time: 10:00 AM. Sign up with receptionist 781-861-0194. 3. On The Move! Tanglewood Overnight. The Center Recreation Complex is located at 90 Worthen Rd , Lexington , MA 02421 and is home to basketball courts, four swimming pools, a track, two baseball fields, the Fitzgerald Little League Field (off Park Drive), a softball field (with lights for night play), a playground, skate park, the Gallagher tennis courts (10 courts, four lighted for night play with reservations) and a full-sized soccer/lacrosse field. The Teresa & Roberta Lee Fitness Path that begins at Lincoln Park also runs by the complex. On weekdays, a variety of swim programs are available at the Irving H. Mabee Town Pool. American Red Cross Swim Classes, Adult Lap Swim, Diving Lessons, Adult Aqua Aerobics, and Swim Team share pool space, but generally the public swim hours are weekdays 12:45 - 4:30 p.m. and 7:00 - 8:45 p.m. 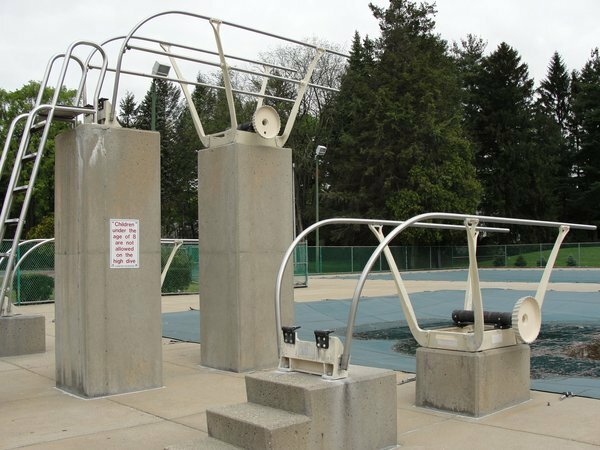 The Recreation Department sells season memberships to the aquatic facilities, including a limited number of non-resident family memberships that go on sale in March. 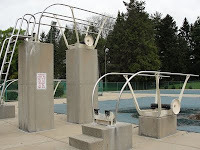 The Swim Tag is valid at both the Town Pool and the Old Reservoir. Residents may opt to pay a daily fee at either facility instead of purchasing a swim tag. As of May 14th, all swim tags must be purchased at the Tennis Booth located at the Pool Building. How blessed we are to live in such a lovely historic town. Growing up in the local area I have had the opportunity to attend many Lexington's events - and July 4th has always had a special meaning. Walking and driving around Lexington we quickly realize the importance of such a day and the enormous sacrifices our forefathers made so that we could be here today to enjoy the freedom they so diligently fought for. So while you are enjoying many of our festivities, please take a moment to pause on the significance of this very special day. A special "Thank You" to our town departments (especially the Lexington Public Works) for making Lexington even more lovely than it is. They always do such a great job! Lexington's FREE summer concerts are back! Bring the family, a blanket or chair and join the fun on the front lawn of the Lexington Visitors Center, 1875 Mass Ave just across from the Minuteman statue. Concerts are held every Friday evening at 6:30PM in July and August.